As the entrance street name refers, you will want to “Linger Longer” at Reynolds Plantation. 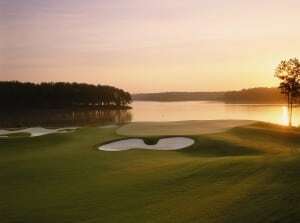 This is a sprawl worth crawling for optimum pleasure, exceeding the expectations of any golfer, on the course and off. 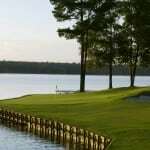 Set around the vast Lake Oconee, trees line the well manicured fairways of six award winning courses, designed by the great Nicklaus, Jones, Cupp, Engh, Fazio and soon Pete Dye. It is varietal golf at its finest. Stately homes with columns and decks serve as the playground for families and retirees alike, but deer are the real owners in the community developments at Reynolds. Start on the pretty and very playable Plantation Course. 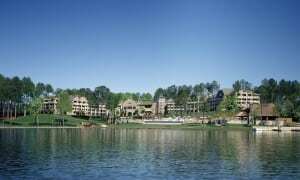 Advance to the Oconee with babbling brooks and the Oconee Lake in play on many of the back nine holes, especially the finishing 18th. The Landing is a bit tougher layout. All of the clubhouses provide perfect 19th hole sites, always setting up for a lovely event, not the least of which was Carrie Underwood’s wedding. Taylormade offers club fittings at the Golf Academy with next day delivery. This is where Camilo Villegas, Paula Creamer and Natalie Gulbis filmed their fun commercial. Each golf course is certified with the Audubon Cooperative Sanctuary. The focus was on the environment from the start of each project as “a matter of course”. The Masters course has nothing over the Reynolds courses when the spring azaleas and dogwoods are in bloom. Over 100 years ago, a man named Reynolds carved a hunting retreat for the family. When the Wallace dam was created in 1979, the land became water front property with over 374 miles of shoreline . Current developers emphasize front- porch living with accessibility to golf, hiking trails, sport clubs, and water parks, marrying health and nature. With miles of paved trails interlacing the property, residents can explore the abundance of flora and fauna that inhabit these serene communities which are widely heralded as the region’s finest in premier family residences. Visitors may stay in well equipped condos with maid service or indulge in ultimate luxury and pampering at the Ritz Carlton on property. Gaby’s poolside bar overlooking the lake there is an upscale place to see and be seen. The oysters are tasty treats for incoming boaters. Alternatively, the Infinity Pool adult bar has a more peaceful ambience at the Lake Club. Try the Infinity Sunset – a concoction of Captain Morgan Rum, Peach Schnapps, Orange juice and a Splashof Grenadine and Sprite. The view is as pretty as a picture puzzle with boats zigzagging across the water. The adjacent Nature Center avails all to paddling vessels or venture to any of the four full service marinas for a variety of touring and sports fishing options. Dining alternatives range from down home cooking to elegant. The four clubhouses boast different styles in preparation and diversity. Dinner at the Landing Clubhouse features full lobster, corn, slaw and key lime pie for $35. It tastes like Maine until the desse rt brings you back south. Close to the property, visit the local favorite – Silver Moon where you sign in on a blackboard and watch the oysters being shucked and served with great demand. If in a hurry, check out the bar or patio for first available seating. The parmesan crusted grouper is a signature dish rich in flavor. 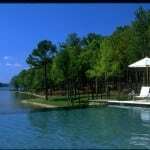 Eat, play and be happy at Reynolds Plantation. You will leave fulfilled, with Georgia forever on your mind.